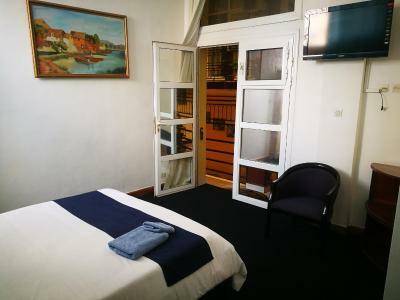 Hotel de L'Avenue - Tana City Centre is a very clean and safe accomodation, located right where it says, in the Tana City centre. 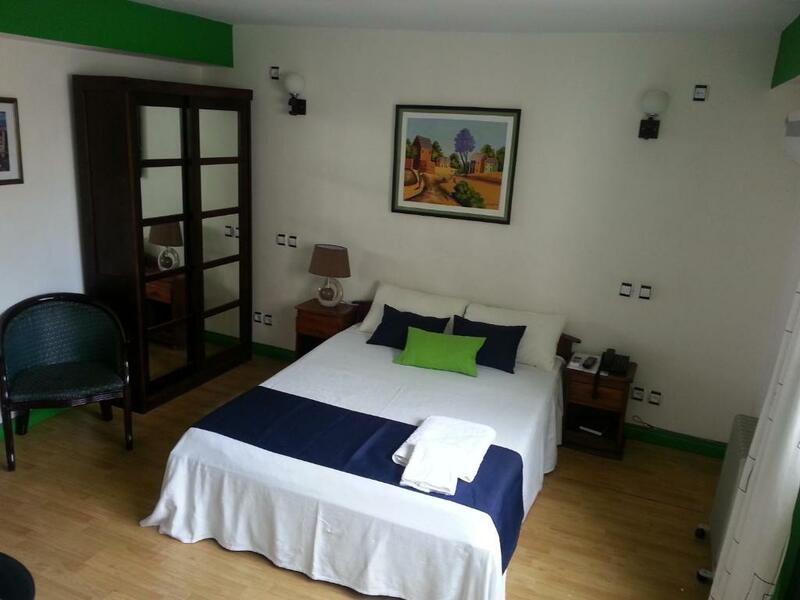 The staff is very kind, friendly and do all they can to make you feel welcome, safe and cared for. 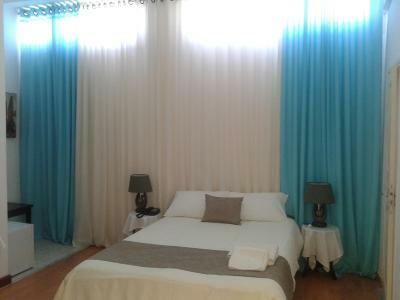 I truly recommend Hotel de L'Avenue as a base to explore Tana. 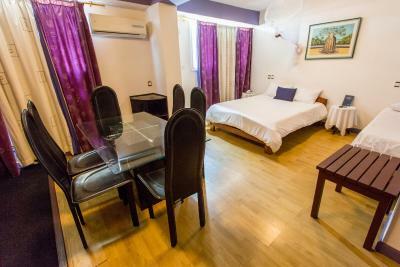 It‘s super super good location,just in the center of city,could go anywhere on foot,and can eat pretty good around the hotel,local food or france food. The staff here are very kind and speaking good English. The location of the hotel is perfect and in the middle of the center, nice restaurants are all around the hotel. The drinks in the hotel bar were delicious and the prices were totally fair. All of the staff were constantly working to make sure that I had everything that I needed for my all nights business trip stay. 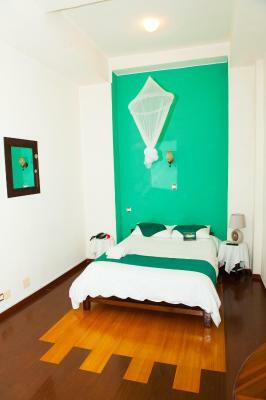 The rooms are simple but very comfortable!The overall experience was good,Would definitely stay again! Das Personal war sehr hilfsbereit und freundlich. 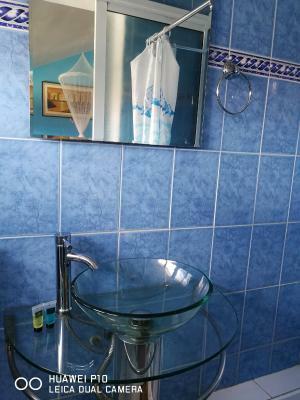 Die Lage war top und das Zimmer war einfach, aber praktisch eingerichtet. 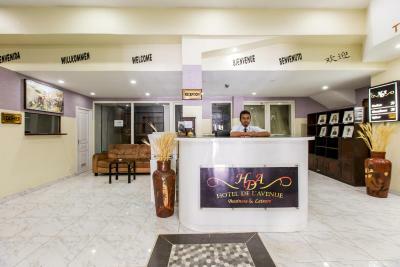 Hotel de L'Avenue - Tana City Centre This rating is a reflection of how the property compares to the industry standard when it comes to price, facilities and services available. It's based on a self-evaluation by the property. Use this rating to help choose your stay! 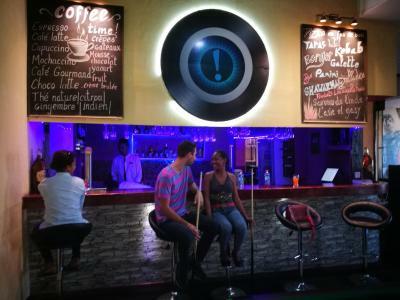 One of our best sellers in Antananarivo! 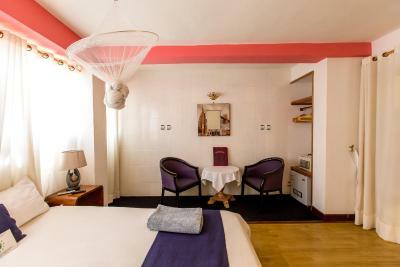 Located in the heart of Antananarivo, opposite Hotel de Ville, L'Avenue - Tana City Center offers well-equipped rooms and suites and a restaurant. 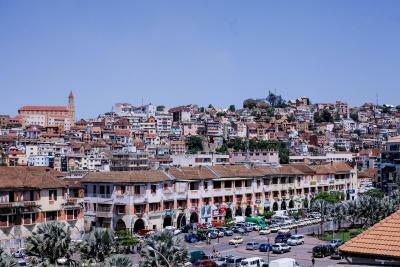 Analakely Market is a 5-minutes’ walk away. 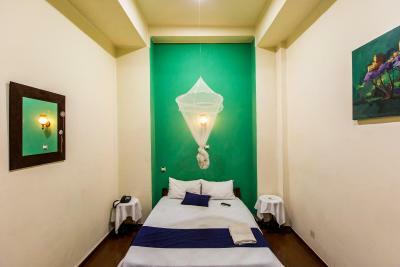 The refurbished, air-conditioned rooms and suites are decorated in warm and natural colors and offer tea-and-coffee-making facilities, a safe, a telephone, a flat-screen TV, wireless internet and a mini-bar. 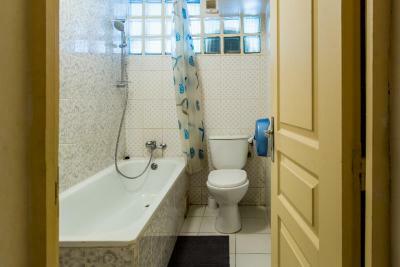 The private bathrooms have a bath and shower combination. 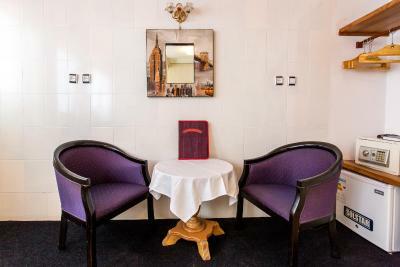 An extensive breakfast menu is available every morning. 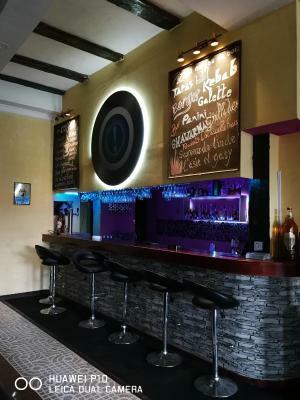 The restaurant offers Italian, Chinese, Indian, French and Malagasy cuisines. 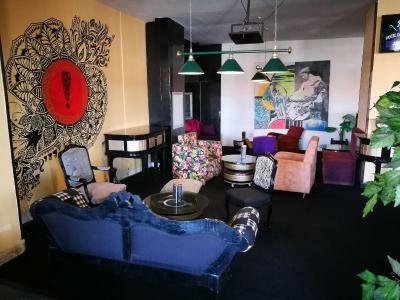 Guests can relax on the rooftop terrace or have a drink at the hotel bar. Free WiFi is available throughout the hotel. 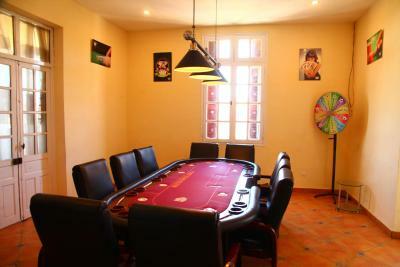 Further facilities include the popular hotel casino, cinema, restaurant, cyber business center, and duty free shopping. 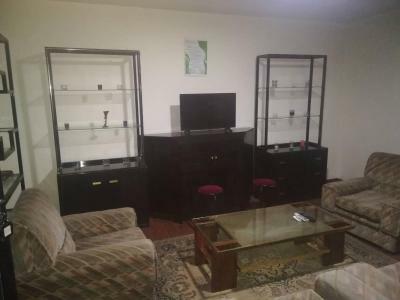 Services include 24-hour security, porter and concierge service and newspaper delivery. The hotel is close to shopping centers, Antananarivo Central Station and many tourist attractions. Ivato Airport is about 9.3 mi away. 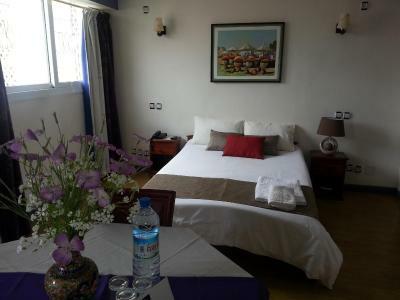 When would you like to stay at Hotel de L'Avenue - Tana City Centre? 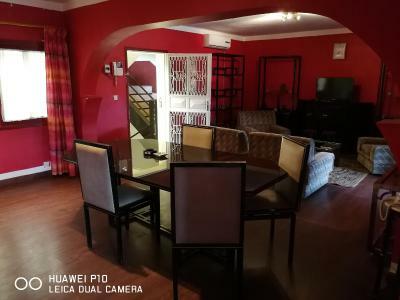 Featuring two-interconnecting rooms, this air-conditioned suite features a seating and dining area with a dining room table. 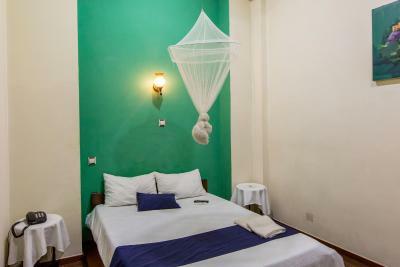 It includes a flat-screen TV and tea-and-coffee-making facilities. 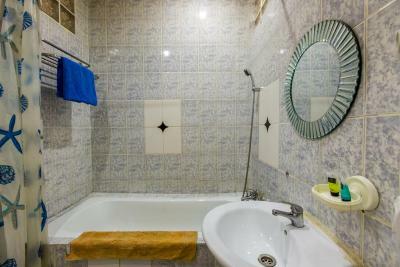 Each room has a bathroom with a bath and shower combination. 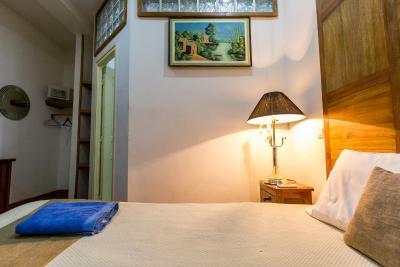 This air-conditioned triple room is fitted with a mini-bar, a flat-screen TV, tea-and-coffee-making facilities and a desk. 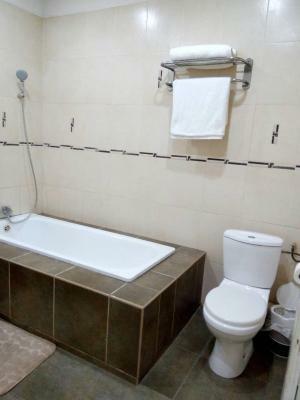 The private bathroom contains a bath and shower combination. 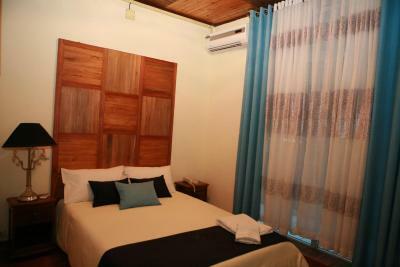 This air-conditioned double room is fitted with an private bathroom with a bath and shower combination. 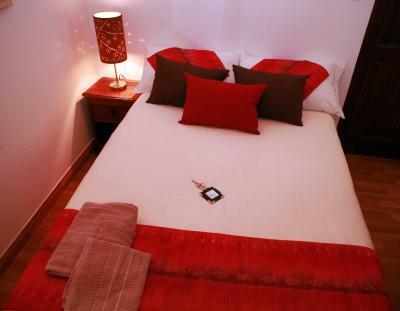 It includes a flat-screen TV, desk and mini-bar. 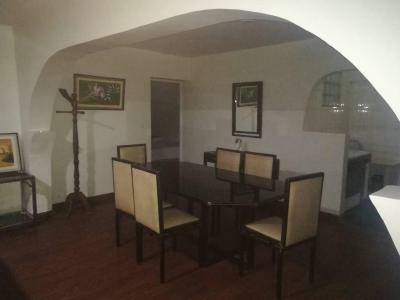 This air-conditioned apartment offers views onto the Main Avenue and the Town Hall and features a seating and dining area, as well as a kitchenette. It includes a flat-screen TV, desk and tea-and-coffee-making facilities. This apartment has 1 additional extra bed. Please note that the price is based on 2-4 guests. Maximum occupancy is 5 adults. 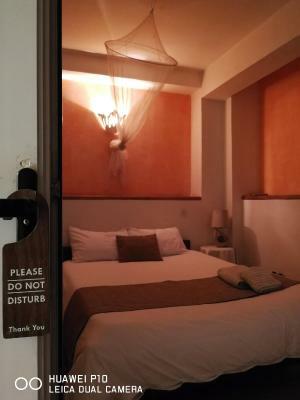 The extra person rates may vary according to the season or room category. 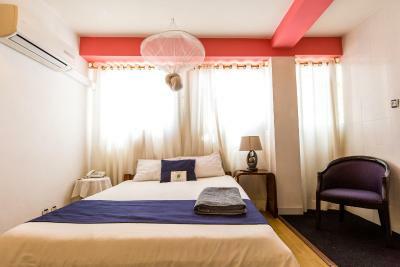 This cozy, air-conditioned single room is fitted with a double bed for single use and an private bathroom with a bath and shower combination. 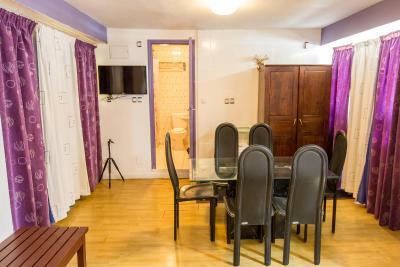 It includes a flat-screen TV and tea-and-coffee-making facilities. This family room features a mini-bar, electric kettle and hot tub. 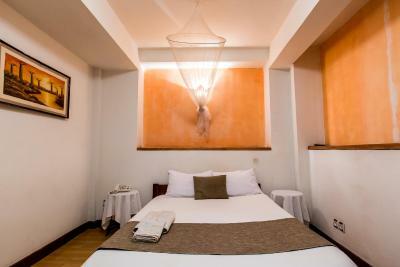 Centrally located our hotel complex offers a modern comfortable surrounding amongst a historic setting. 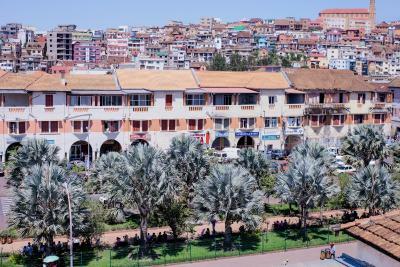 The establishment lies in the centre of the Avenue de l'Independance, in the heart of the capital Antananarivo. Often described as 'riyadesque' in it's architecture, the building is listed within a historic and protected zone of the city, the 'old town'. 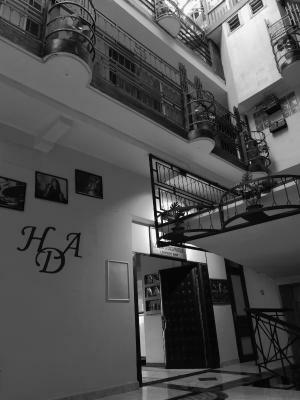 The newly decorated interior is modern and offers most of the comforts of the modern day traveller, giving our guests a relaxing and quiet environment within a busy and safe area of the city. 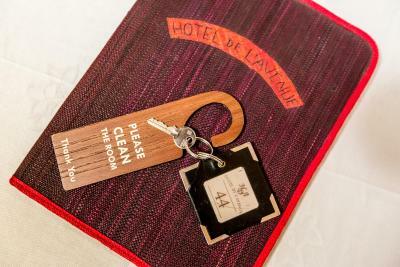 House Rules Hotel de L'Avenue - Tana City Centre takes special requests – add in the next step! 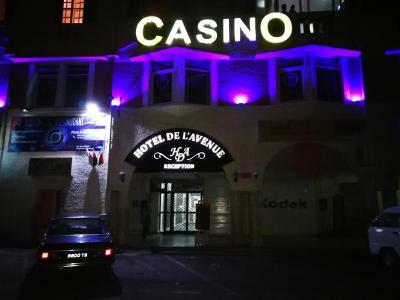 Hotel de L&#39;Avenue - Tana City Centre accepts these cards and reserves the right to temporarily hold an amount prior to arrival. 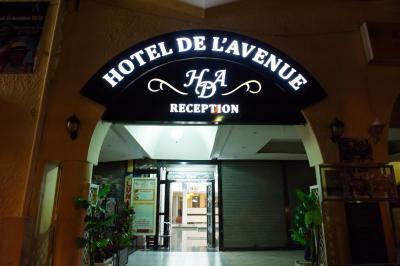 Hotel de L'Avenue - Tana City Centre accepts these cards and reserves the right to temporarily hold an amount prior to arrival. Little hot water in apt 51. Clogged bathtub would take all night to drain. 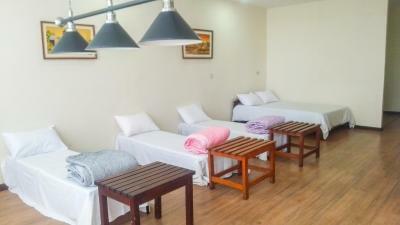 The dormitory was very clean. 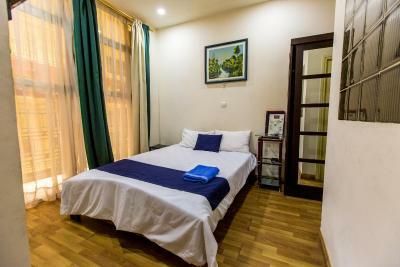 The staff was unbelievably efficient, courteous, and extremely helpful: they managed to help in all sort of problems and necessities I had during my stay. 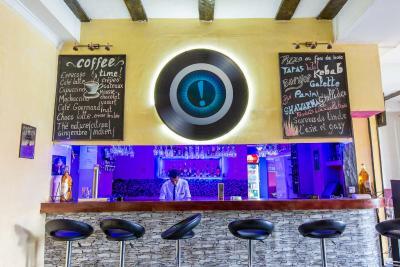 The restaurant/bar was very nice and food of good quality. I would recommend the chicken curry and the Thai chicken. The manager, Joel, was very efficient and always attentive to any needs that I had. 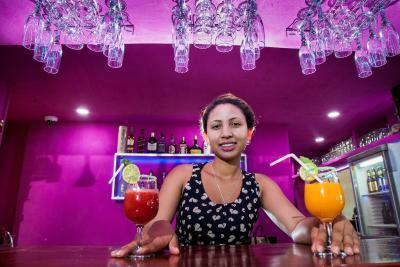 The barmen/women were similarly very friendly: I played pool at least a couple of times with one of them and I also. Ma aged to win at least once. All members of the staff spoke some English, some remarkably well, on top of French and Malagasy. I also had my laundry perfectly done in less than one day. 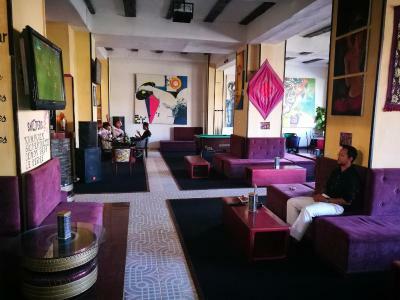 In addition, the hotel is few steps away from the Analakely market, many good restaurants and bars, two of the best ice cream parlors in Tana, Honey and Blanche Niege, and other attractions such as the Soarano Station, the pirate museum and others. Many taxis are available outside the hotel, and for those more adventurous, Taxi-be stops with service to many part of the city are close by. 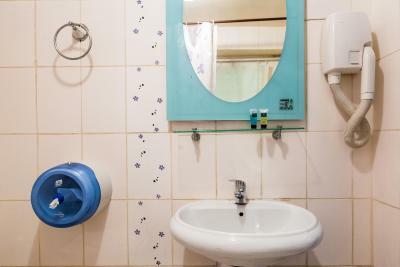 I would highly recommend this hotel to anyone travelling on a budget. There isn't always hot water and no musquito net in my room. Better pay in euros because the exchange rate isn't great . Building word outside the hotel that started around 08.00am. No wifi in our room and big gaps in bathroom window slats which made room freezing; bill in Euros with unfavourable exchange rate for local currency and 3% for card transaction; music too loud when in restaurant, despite asking for it to be turned down.